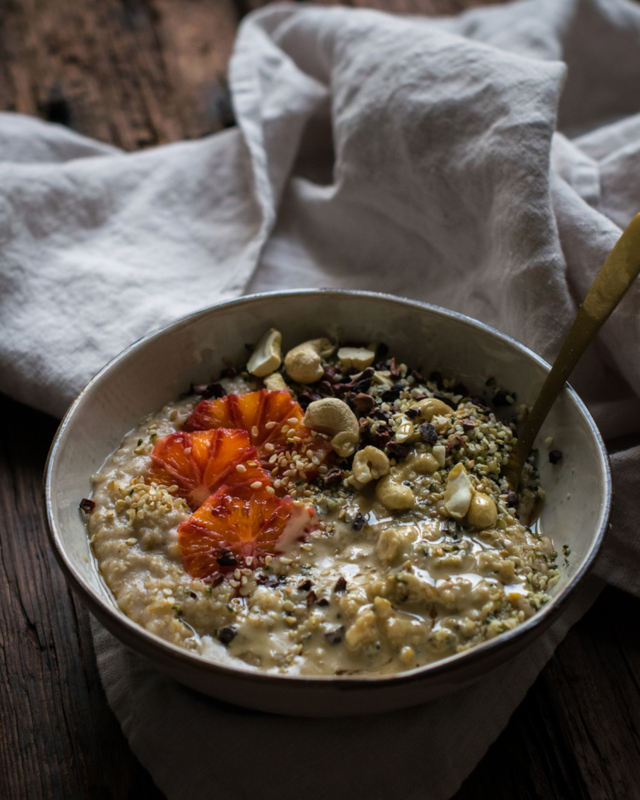 This Tahini, seed & citrus porridge is one of my seasonal musts: I always go for porridge when I’m looking for a healthy and nourishing breakfast that could give me enough energy to make it until lunch time. I really love the mix of textures in this one, and adding tahini in my morning porridge is actually a rediscovery since I started to use a new tahini brand since a while, which is well-known in Middle-East (for the ones who know it, it’s Al Arz tahini – for all the other ones, I warmly recommend it!) and much more creamy and flavourful than most of tahinis I’ve tried so far. This detail may sounds insignificant, but trust me it changes A LOT, like the flavour and texture of a hummus! When I can afford to take my time to prepare my breakfast, I usually use oats that I grind myself before the cooking process. The last months spent working for Haferkater in Berlin enabled me to learn a few tricks about well-made and real porridge, including the fact that a porridge made from dry & old oats as you can find in most of shops will never compete with a real one, made from freshly ground oats. That said, you should definitely give a try to this preparation method before to take out porridge from your diet. As I don’t have any grinder, I usually use my blender and it’s working pretty well. If you want to do so too, you just need to buy whole oat grains in your local organic shop, then put them in a blender bowl and mix for about 30 seconds, until grains are grossly ground. Then I bake the oats on a low heat for about 20 minutes, with 3 times their quantity in water + a pinch of salt. Then when they are almost ready, I add a dash of milk to get a nice taste and a creamier texture, as well as the liquid or creamy ingredients + the sweeteners if there are some. 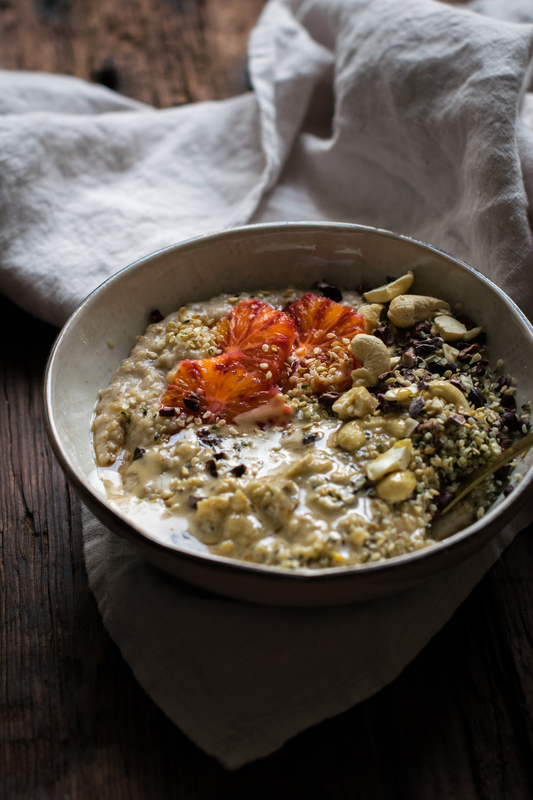 I usually prepare porridge when I have a bit time or work from home, and when there is no risk that the cooking process messes up my morning routine. Even though I don’t have to work in offices those days, I usually try to wake up 2 good hours before to start to work and to have to move from home. I’ve finally started morning yoga practice again – about time… -, so I usually start with 20-30 minutes of yoga with this program, which is pretty nice for beginners as well as people who want to gently start again yoga practice and refresh their memory. I have to admit it, I’m still rather concentrating on my future breakfast than on my breathe during my yoga sessions, but at least I stay motivated when doing them before breakfast time – ’cause I know that I can stuff myself right after…yep, everybody’s its own motivation -. Waking up so early also enables me to take my time to get ready and most of all to take my time to eat my breakfast – every person who knows me well also knows that without this moment, I might be an unbearable witch for the rest of the day. I usually use breakfast time to answer a few emails I was too lazy to answer to on the day before, read new posts from my favorite blogs or newsletters – #SocialMediaManagerLife -, which actually give me a good excuse to take so much time. This tahini, seed & citrus porridge is the result of a new experimentation, as I usually don’t use citrus in my porridges. I usually go for some seeds, nuts, nut butters, cacao, berries or banana slices on my easy mornings. 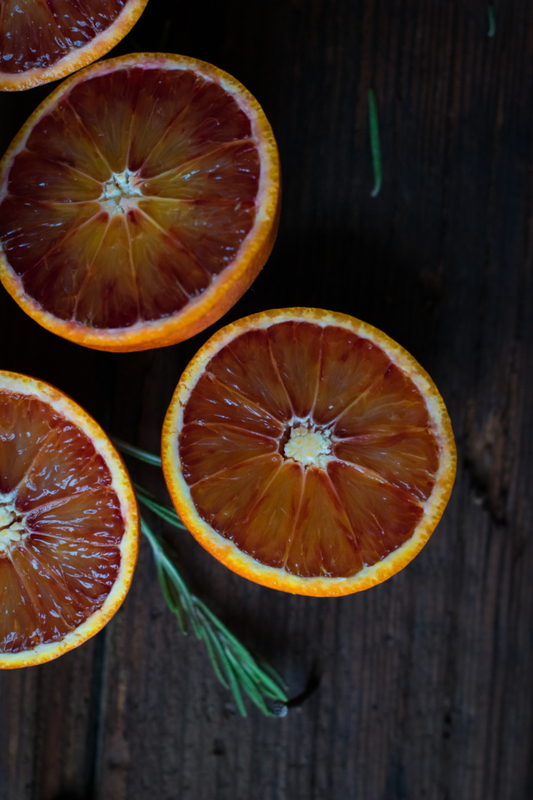 But well, I thought that citrus – blood orange for this one – and tasty tahini might be a nice mix and a good occasion to add a good vitamin shot to my porridge bowl. 1. In a small pan, add oats, salt and water. Let simmer for about 15 minutes while stirring regularly. When water is almost totally absorbed, add oat milk, maple syrup, cinnamon and stir again. 2. Turn off fire when the porridge starts to bubble and there is still some milk left - some more will get absorbed when it cools down. Pour in a bowl. 3. 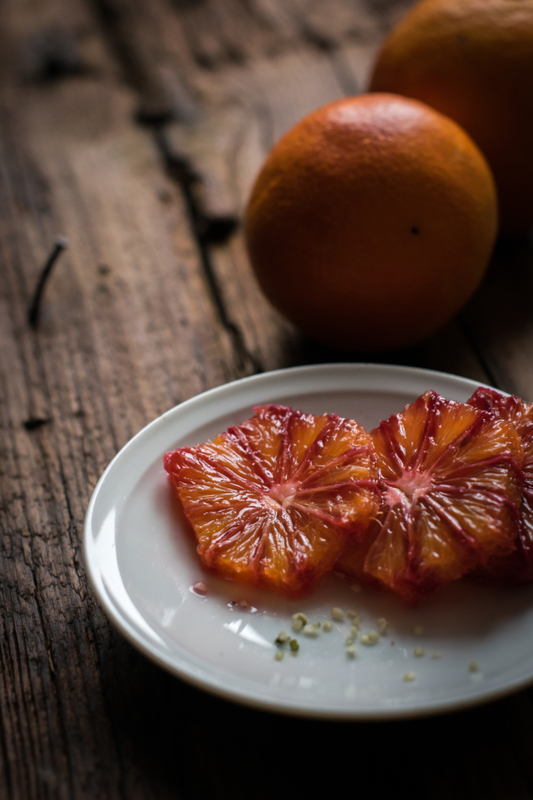 Cut the citrus of your choice in segments or slices and top your hot oats with. Sprinkle hemp seeds, cacao nibs, sesame seeds (you can toast them if you want) and shredded cashew nuts over it. Coat with tahini. Add some extra maple syrup as well as a pinch of cinnamon if you want. Eat warm. Wow, this is the most nutrient packed porridge I’ve seen so far. Love all the stuff that goes in. Nice!